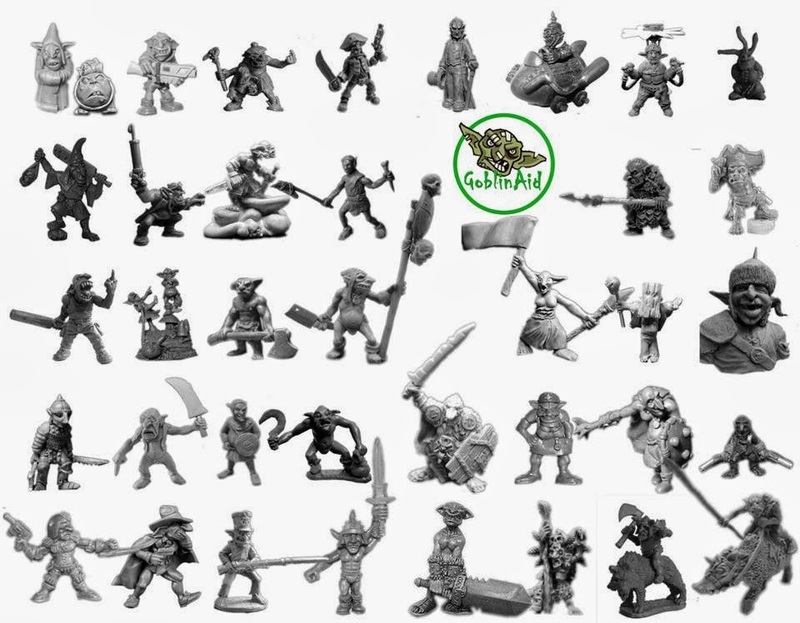 "We (at Foundry) are organising ourselves to get another Goblinaid pack together. No Kevin self portrait model in this one though. Instead, we might put a group of the really tiny snortlings in with each selection of Kevinish this and that. We will decide when we discover what moulds we have left. We will do our best to provide a significantly different mix than we have in the Kevin packs. We can't promise that you will not get a duplicate. But we will do our best: our memories of which models went in last time may be unreliable. I am sure you will find it in your hearts to forgive us any slips! It may take a while for us to organise actual blisters and get them up on our website. We are a man or two short at Foundry (see vacancy add on our site). However, we are happy to sell you a Kevinless pack RIGHT NOW! 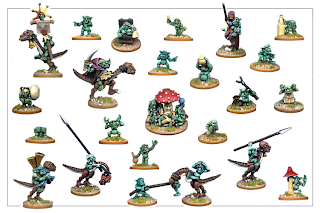 SO: just stay sat right where you are at your computer - go to www.wargamesfoundry.com - find the Goblinaid page - AND BUY THE EXISTING GOBLINAID PACK! - Put a note on your order that you actually wanted the new Kevinless pack, and that is what we will send you." In case you don't know Bryan Ansell, he is the genius behind the early meteoric growth of Games Workshop....previously he sculpted and set up just a few miniature companies....Conquest, Asgard, Tabletop, Citadel, Guernsey Foundry, Wargames Foundry......he is currently attempting to not interfere in the running of a rather nice looking stately home 'Stoke Hall' which, if my brother wasn't working on a similar ongoing project in Wales, would be where I would marry off my daughters......after which I might have time to paint the figures Bryan has caused me to buy over the last 35 years or so....grrrrrrr. His son, Marcus, is carrying on in the same vein......grrrrrr. The latest of the Goblinaid sculpts, the bust by Philip Hynes, is available on a strictly limited run from the boys at Ainsty Castings here. Thanks Bryan. So many sculptors that I don't know about. 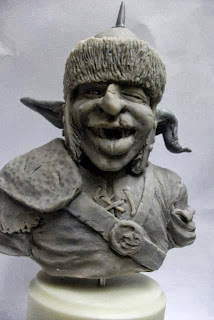 I am just painting up one of Tony's larger fantasy warriors he sculpted for Fine Art Castings - very crude as he himself has said but great old school. I'm sure I have more of the robots around...I just have to find them and will let you know!